Virgin Mobile Custom is available on three devices: ZTE Emblem™ for $79.88, LG Pulse™ for $99.88, or LG Unify™ for $129.88 available exclusively at select Walmart stores (excludes taxes). Features on these three Android™-powered smartphones include a large touchscreen display, 5-megapixel rear-facing cameras, front-facing cameras for video calls, Bluetooth® and Wi-Fi. 1. Price: Basic line is $6.98. The basic line is extremely affordable and if you have kids and have been thinking about getting them a phone for emergencies but you are afraid they are not ready because they tend to loose everything except their heads this is the phone for you. I mean who wants to pay for a replacement and be forced to sign up for an extra year on top of your two-year agreement? Not me! The phone runs on Android and has an SD card so the kids will most likely use the phone to download apps, play games and listen to music. It is wifi friendly so thay can download apps that can allow them to place and receive calls (and texts) over the internet. The account owner can restrict restrict to specific times the use of apps like facebook, twitter, snapchat, youtube, instagram and pinterest. Don't want your teen checking Instagram during family time os school time? You can tell thephone to disable the app for an hour, two hours or permanently. 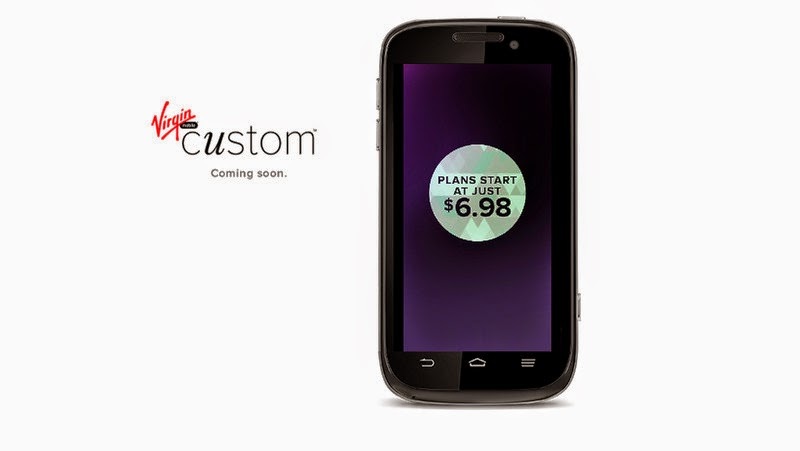 One of the great things about Virgin Mobile Custom™ is that it allows you to customize your plan to your lifestyle. The Custom plan offers several options extras like all-you-can-eat data for specific networks, including Facebook, Twitter, Pinterest and Instagram. 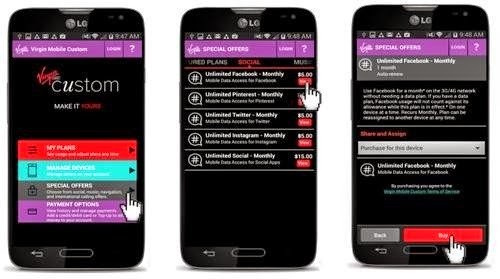 Unlimited access to those apps costs $5 each (per phone) or $15 for all four. A similar deal exists for music, letting you stream all you want from Spotify, Pandora, SoundCloud, iHeartRadio and Shazam for an extra $5 A month. Have a 12 year old that's not interested in texting, but loves watching videos on youtube? Add the unlimited youtube option to a basic line and pay only $11.96 per month. Have a daughter addicted to texting and instagram? Add unlimited texting and unlimited instagram for an aditional $15 dollars. Monthly bill $21.95. Yes, you can have a heart attack now! Have a teen that loves listening to music and likes to call their friends after school? Add unlimited voice and unlimited radio streaming and pay $29.98! Are you a social media maven that is frequently texting? Are are constantly checking pinterest, facebook, twitter, and instagram? You can add unlimited social media access , plus unlimited texting to your basic line for $20, making your monthly bill to $26.98! New more phone minutes? Add 250 minutes extra for $3.00! Now, always remember that all Virgin Mobile Custom phones are wifi friendly, so as long as you have wifi you can do anything that you want! Even if you decide to cancel your phone plan the phone still works over wifi, just like a tablet! Another great option of this phone is that you no longer need to take your kids their phone away when they do something wrong. Use the parental control to disable apps and trust me that is enough to get them ticked off. You can download the Custom app on itunes or google store. Any cellphone regardless of their carrier is able to use the app and enforce parental control. 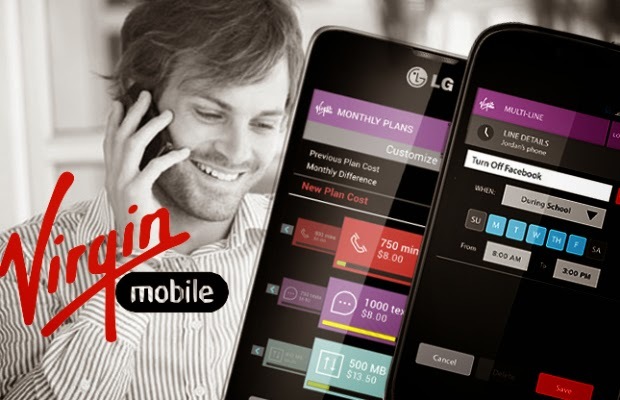 Virgin Mobile Custom is an extension of the iconic Virgin Mobile USA brand that is part of Sprint’s Prepaid business unit and operates on the Nationwide Sprint 4G LTE Network. 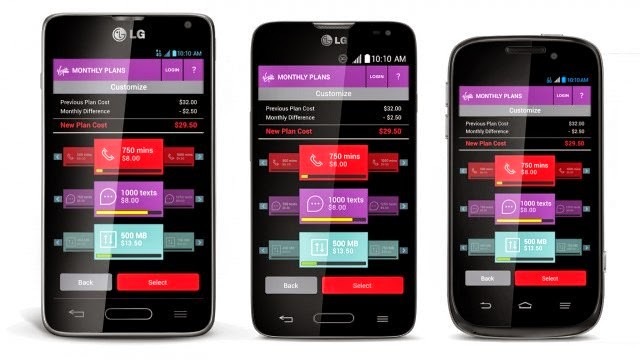 For more information, visit www.virginmobileusa.com. So moms and dads what do you think? Is this something you might be interested? Tell us in the comment section below. Disclosure: I participated in an Influencer Activation Program on behalf of Influence-Central for Sprint. I received a device to facilitate my review. All opinions expressed are 100% my own.